Investing in a new kitchen can be a great move. One which could increase the overall value of your house and make your home a much nicer and more welcoming place to be. It’s also a process which can be costly, which is why it’s always a good idea to get a budget fixed in your head before you fall in love with some of the stunning kitchens that there are out there. If you have limits to the amount you can spend on a new kitchen, then considerations for your kitchen budget should take into account a realistic view of how much everything will cost. From the removal of your old kitchen, to the fitting of the new one and extra work needed, such as electrics, tiling and plumbing, it can all add up, so it pays to be aware of the whole picture before you start. From the very first decision to change your kitchen, decide how much you want to spend and then try breaking it down into sections, attributing a larger portion of your budget to the things which you consider to be the most important, such as worktops, appliances, flooring etc. 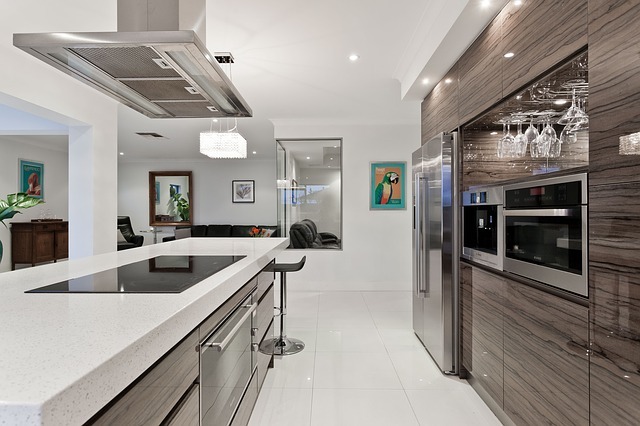 What should you take into account with a new kitchen? As well as working out how much you want to spend in total, it’s also a good move to get a clear idea of your reasons behind the new kitchen. Are you moving in the next five years? In which case, you could look to invest in a kitchen which might give your house greater value and saleability. On the other hand, if you’re not preparing to move for a while, then ensure it’s one you will be happy and comfortable in for the foreseeable future. Once you’ve set your budget and planned for your new kitchen, don’t change your mind half way through – this can be costly. Ensure it fits with the area you live in, as an expensive kitchen in a less expensive area will do nothing for the value of the house and vice versa. Remember, a decent kitchen and bathroom can be what makes a buyers decision for them, so make sure it’s right for your home. Factor in the cost of extra things, such as where and how you’ll eat, while the work is taking place. Consider doing some of the smaller jobs yourself to reduce cost. Budget for unexpected costs and surprises. Consider reworking old cabinets instead of buying new ones. You could try painting, or sanding and varnishing them, or adding glass inserts – this again could save on cost. If you would like to discuss your new kitchen ideas and considerations for your budget even further, then get in touch with our kitchen experts today. We can help break down the costs for you and give you a better idea of what fabulous kitchen creations could be achievable on your budget. This entry was posted in Kitchens on November 29, 2016 by Damian Dewhirst.